Aria's, Smartwatch that senses Gestures! Whenever someone talks about cutting edge technology, what comes into our minds is something magnanimous. However, what appeals to many people is what we have in Aria. This is the first gesture recognition system that is going to make smartwatches touch-free. The Aria will enable users to link a range of hand gestures to standard controls on their smartwatches making it to perform actions like selecting, scrolling, opening up the settings menu on their smartwatch, and zooming. All these will be done by various hand movements like clenching the fist, flicking, waving and the like. This new device is motion-based and it can extensively be used to interact with the upcoming Pebble Time Smartwatch or Android Wear. Although, the gesture recognition system is not something new, but gesture recognition without even coming anywhere close to touching the devices is something worth applauding. Aria helps you control your smartwatch by virtue of finger gestures. Aria allows the users to interact with their wearable using gestures because it uses a tendon tracking technology. The whole interaction will be based on movements of the users’ wrists and fingers. The device is compatible Pebble Time and Android wear. In the Pebble Time, the device attaches to the watch’s band and lets users navigate through the smartwatch’s interface by just moving their fingers. The device also uses Bluetooth services to connect to the smartwatches. This will allow it to be compatible with most Android wears. 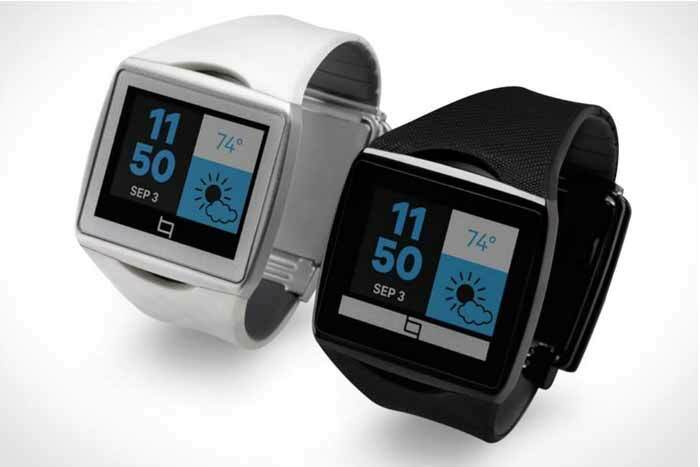 The device might cost about $170 to be used with any Android wear, but with the Pebble Time smartwatch, it will cost only $70. The manufacturers of the device believe that it has huge prospects because it will easily draw attention towards itself from the masses owing to its many interesting features. For example, it comes with an SDK to allow developers integrate gesture controls into their Android wear apps. Each and every gesture that the user makes can be associated with the actions that the device will perform on the wearable making interaction very easy. Aria is waiting for positive customer response as it makes interaction with users’ Android wear or the Pebble smartwatch a lot more fun and easier. It will land on Kickstarter in June after which those who are interested can help to crowdfund it into existence.